Praise Yahweh! Praise, O servants of Yahweh, praise the Shem of Yahweh! 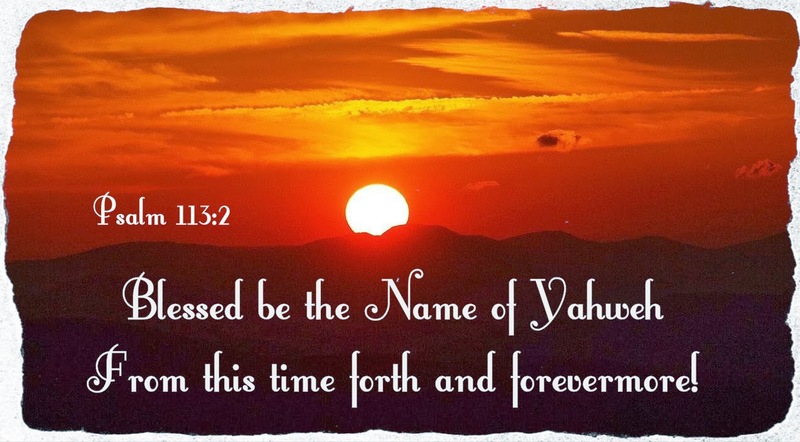 Blessed be the Shem of Yahweh from this time forth and forevermore! From the rising of the sun to its setting, the Shem of Yahweh is to be praised! These words give us a glimpse of how Psalmists in the past bless the Shem of Yahweh. Take note of the repetition of 3 different words in these 3 short verses. These words are not just peculiar in this Psalm, but they also have the most occurrences in the entire book of Psalm when compared to other OT books. 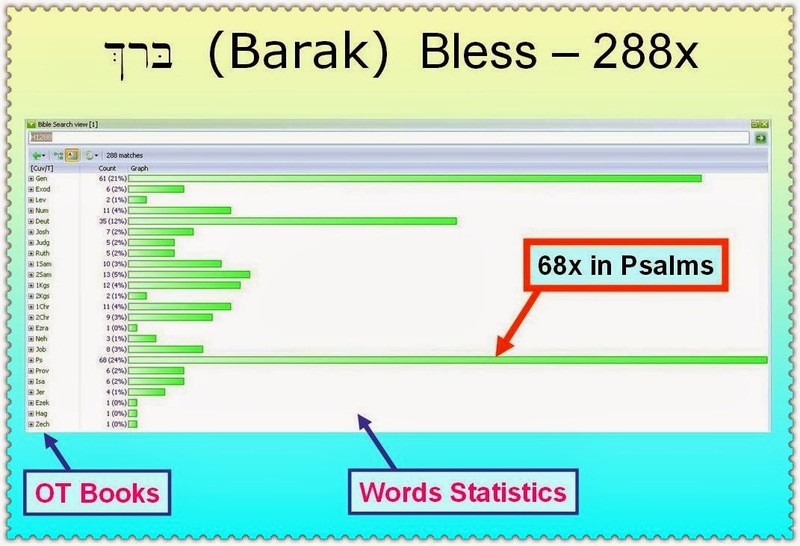 Even the word ‘Bless’, Psalm also has the most occurrence. 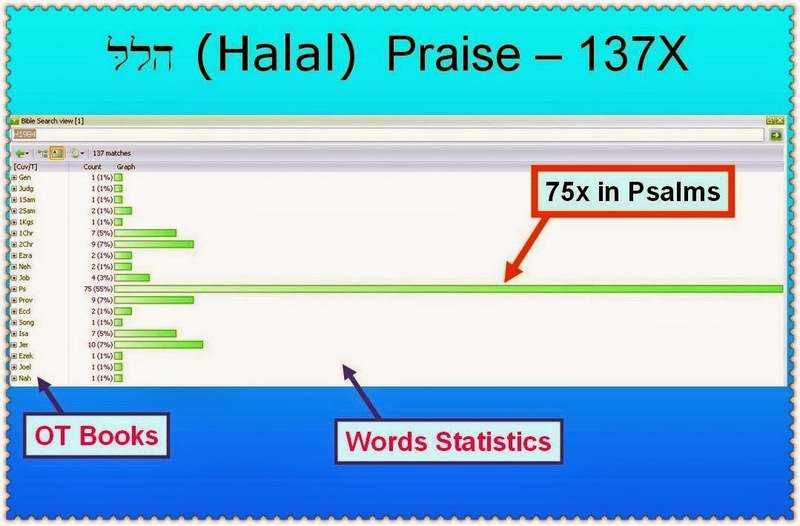 These statistics reveal to us where the Psalmists put their emphasis when they pray. Their prayers are very God orientated and Yahweh centered. Where is our emphasis when we pray? 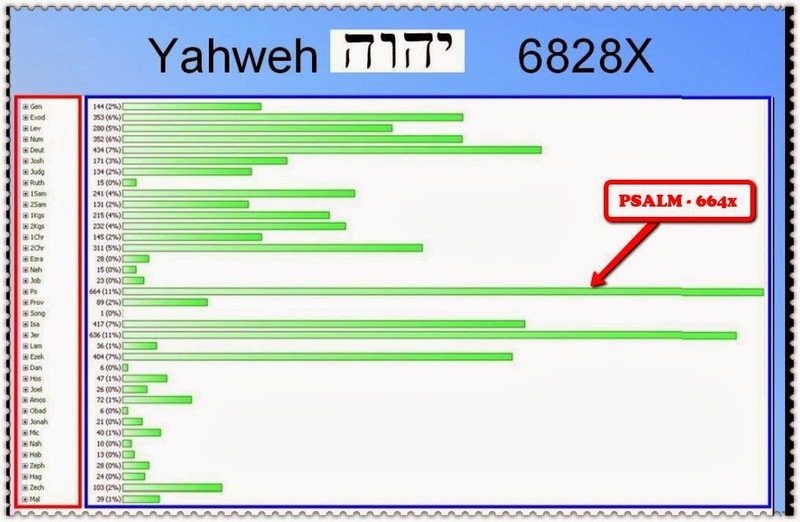 "Yahweh" appears most frequent in the book of Psalms, the book of prayer. We too need to call out to God's Name "Yahweh" when we pray. 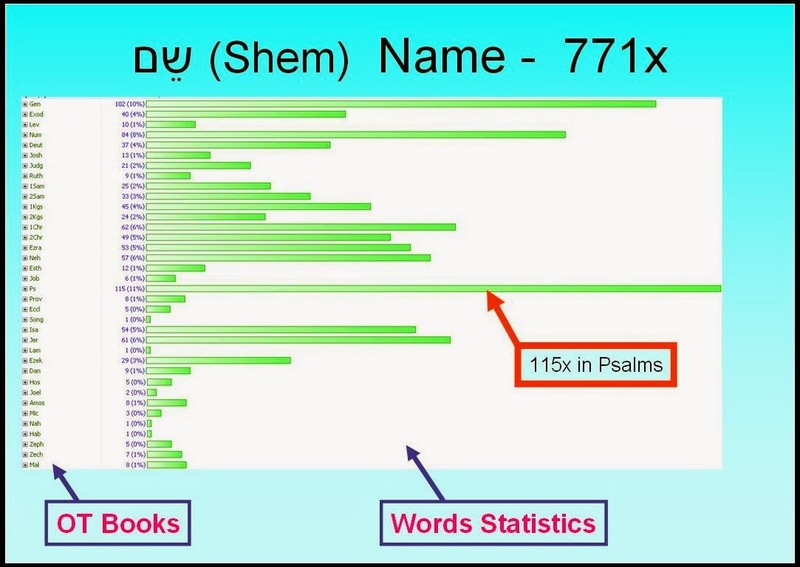 In the graph, you also see that "Shem" occurs quite a lot in Genesis and Numbers. In both of these books, most of the time, "Shem" refers to human names and not God's Name. In Psalms, most of the time, "Shem" refers to God's Name.